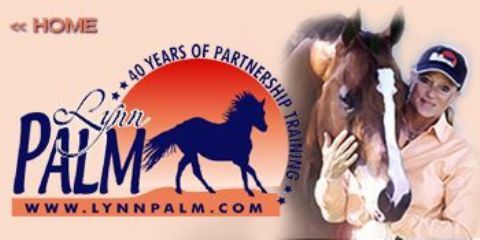 In this article we will incorporate upward transitions from a jog/trot to a halt and the upward transition of the halt to jog/trot in the pattern. 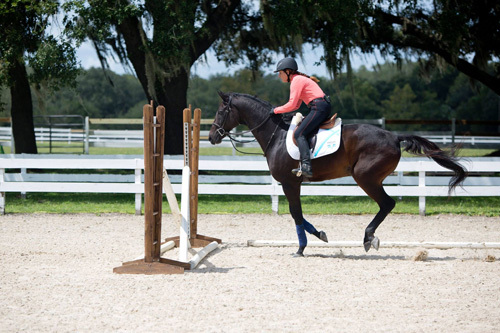 I’ll explain the aids the rider should use to keep her horse “straight” on the circles. I’ll conclude with some tips on how to improve communication with a horse that does not have complete knowledge of the rider’s aids. 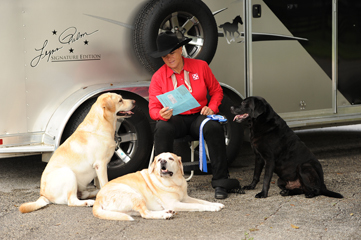 The rider’s aids are her tools to communicate with her horse. 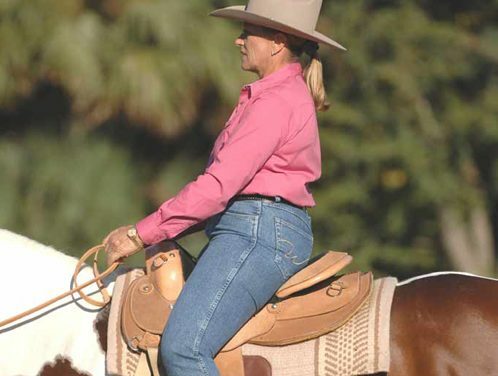 The “natural” aids, which she uses to respond to her horse, are her seat, legs, and hands. The rider’s seat, and especially her legs, controls two-thirds of the horse’s body from the wither back. Her hands control the forward one-third of the horse’s body including the shoulders, neck, and head. Let’s look at each of these important aids. 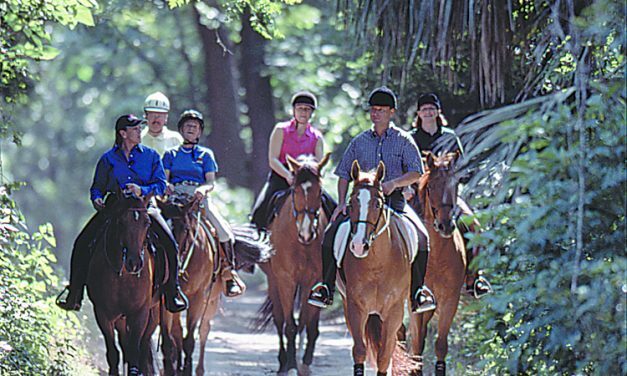 The Seat: The rider’s seat works as an aid to help the horse go forward or slow down. The seat works by applying weight into the saddle on the horse’s back according to what response the rider wants. She uses more weight in her seat for more response, less weight for a lighter response. The weight that the rider applies through her seat, on the saddle has two functions. It indicates to the horse her desire to go forward or slow down and helps him to accomplish these actions. I’ll explain more about the function of the seat in upcoming editions of this newsletter series. We’ve reviewed what the term “aids communication” means and why it is so important to success in communicating with our horses. In the next few articles I am going to share training techniques built on the use of the rider’s natural aids, meaning her seat, legs, and hands—not artificial training aids or gimmicks! 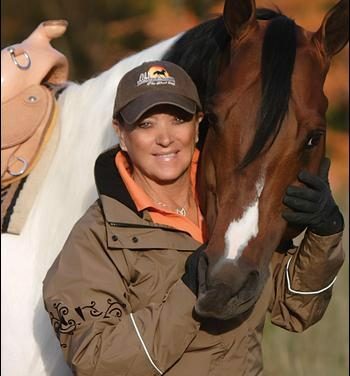 You will learn how to teach your horse to respond more willingly, without using force. I have been reflecting on the importance of the turning aids compared to the bending aids a rider uses. This issue is so important, I would like to revisit our discussion of these aids and add some clarification. 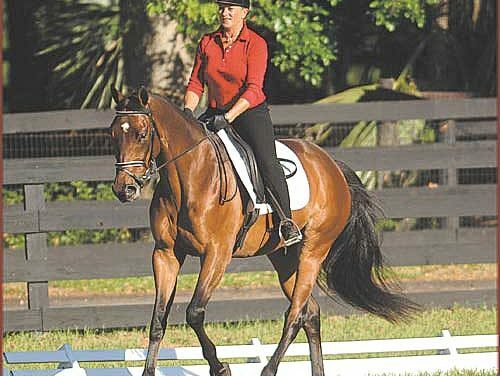 To review, the turning aids are the outside leg and outside indirect rein, supported by the inside leg and inside rein. I am going to discuss one of the rider’s most important, yet often, overlooked aids. Can you guess which one it is? If you said the rider’s SEAT, you’re right! 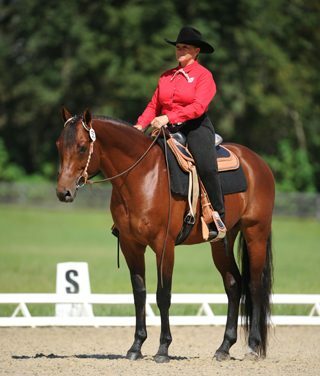 I will explain how the rider uses her seat by using the example of upward and downward transitions. 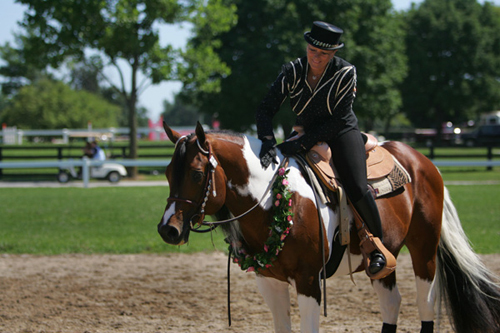 As the rider puts weight in the saddle, the rotation and movement of her hips gives the horse the indication to go forward.